Delivering goods on-time and in an efficient manner is integral to the success of any company in the transportation industry. Regardless of the type of goods shipped, delivery fleets are held to a high standard of timeliness and proficiency. To consistently adhere to such standards, transportation companies must have a solid and streamlined communications system in place for their fleets. Drivers need to seamlessly communicate with operators without having to worry about pulling over to use a device, typing text into a phone or activating an emergency system—all tasks that can negatively affect productivity and delivery time. Solution provider Wireless Communications and Electronics (Wireless CE), based in Baltimore, MD, is bringing in a truckload of voice and data technology, including IoT solutions, as it rolls out the next generation of fleet management for its customers. The company is using the Motorola Solutions Team Communications platform for its transportation customers, tapping into wireless technology for person-to-person, person-to-machine and machine-to-machine communications, all of which are critical for accurate tracking of fleet assets. According to Wireless CE, fleet operations can function efficiently when managers have the ability to communicate instantly through the use of Motorola push-to-talk (PTT) that works between smartphones, radios, computers, landlines or any other devices. PTT communications are augmented with a rich data application ecosystem that adds context and intelligence. PTT gadgets can be matched according to specialist preference, guaranteeing satisfaction across each fleet. Wireless CE typically sets up its transportation customers to use radios or the Motorola WAVE™ PTT application, allowing for instant connectivity. 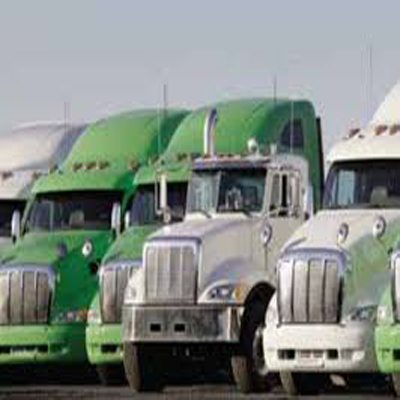 They also utilize the MOTOTRBO™ or ASTRO® radio system, which keeps fleets connected over a wider area without outside interference. These applications and systems help companies better manage their workforce. The solution uses IoT as an aid in automated vehicle tracking, helping companies to stay in touch with their drivers. It also monitors vehicle functions, helping to cut costs and improve all aspects of transportation operations. Quickly tackle challenges. PTT communication allows drivers to keep their eyes on the road while discussing any challenges they may face—reducing risk and eliminating the need to pull over to use a device. Respond instantly to safety issues. Drivers can use PTT to instantly contact dispatch, if safety issues arise. Fleet managers are also able to track vehicles with automated location sensors, allowing them to send help or avoid any unnecessary delays. Collaborate on schedules. Better communication and the instant availability of vehicle data helps drivers and fleet managers focus on keeping customers happy with timely deliveries. Use data intelligence to drive efficiency. With information gathered automatically from the platform, companies can better understand how to improve fleet functionality—monitor fuel consumption, ignition status and on-board diagnostics—guaranteeing their fleet maintenance is up-to-date. Smart data filtering. Through individual to person, individual to-machine and machine-to-machine communication, information can be gathered and filtered to those who need it most. The instant responsiveness allows managers to speak with customer service, dispatch, truck drivers and warehouse workers at the same time, leading to improved performance and an increase in productivity. With data applications and automated IoT tools that assist in operations-related tasks, teams can manage work order tickets, track orders, help managers confirm deliveries and keep better tabs on workflows. For more details into how Wireless CE uses PTT and IoT in transportation and logistics, download this unified communications brief. Learn more about Motorola Solutions Team Communications, including data-driven workflows, interoperability, IoT and push-to-talk technology.